A similarly prized work is Michael Crowley’s Behind the Lines: Creative Writing with Offenders and People at Risk published in 2012. It shows how imaginative approaches to confronting offending behaviour - and imparting skills valuable on the outside - can have a real impact on whether someone returns to custody. Michael is a seasoned advocate for improving literacy in the prison setting. 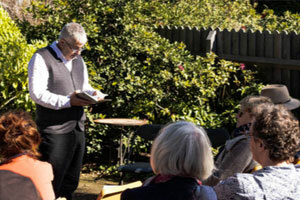 Quite apart from giving presentations at establishments such as Bristol and Erlestoke, he was for six years writer in residence at Lancaster Farms (then a young offender institution). He also helped set up a residency at Arohata Women’s Prison in New Zealand in 2014. The Prime Minister is delusional for failing to acknowledge the link between a scourge of youth knife crime and cuts to officer numbers, says the chair of the Police Federation of England and Wales. Figures obtained by Channel 4 Dispatches revealed the number of children in England aged 16 and under being stabbed rose by 93% between 2016 and 2018. Since 2010, continued cuts to the service have resulted in 21,000 fewer officers and 7,000 Police Community Support Officers - meaning fewer officers on our streets to tackle the crimes set out in the government’s serious violent crime strategy. However, Theresa May has today insisted there was "no direct correlation" between police cuts and knife crime and stressed there was a "cross-Government" response to the problem. Armour Communications, a leading provider of specialist, secure communications solutions, will be demonstrating the latest versions of Armour Mobile, Armour Blue and Armour Desktop at the Home Office’s Security and Policing event. Armour Comms’ solutions for secure communications work on everyday smartphones, tablets and Windows 10 desktops. With the same usability as consumer-grade apps, and with significantly enhanced security, Armour Mobile supports voice calls, video calls, one-to-one and group messaging, voice and video conference calls, file attachments and sent/received/read message status. Message Burn limits the lifespan of sensitive data at rest, where users can set a time at which their messages are automatically deleted (or as the name implies, ‘burn’) on the recipient’s device, for immediate action after being read, or in the future, according to confidentiality. 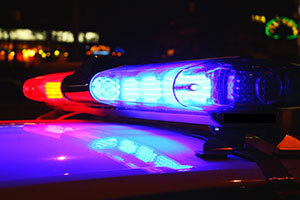 Armour will be showing a technology preview of the latest version of Armour Blue which includes Mission Critical Push to Talk (MCPTT) functionality that meets the requirements of public safety mission critical voice communication. UK based PPSS Group have created a new range of wearable and high effective clothing offering exceptional levels of cut protection. Made 100% out of the highly acclaimed high performance cut resistant fabric Cut-Tex PRO, these new garments are already making a significant difference to the safety and security of prison and correctional officers worldwide. 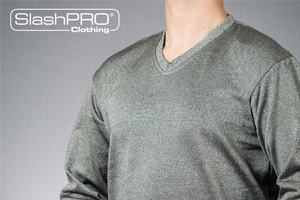 SlashPRO Slash Resistant Clothing is offering extremely high levels of cut protection to the most vulnerable areas, to which common body armour do not offer any protection at all. To hold a shield, baton, pepper spray or CS gas, the muscles of your forearm will contract, and they will pull on the flexor tendons. These tendons pass through the wrist and are attached to the fingers. If a prisoner cuts the tendons or the muscles that power them, the officer’s hand will no longer be able to hold the object. Slash resistant clothing can effectively prevent such injury and keep the officer injury free and alive. We welcome the ECHR’s inquiry on this important issue. Significant progress has been made in recent years supporting vulnerable defendants, particularly through the continued rollout of liaison and diversion services in police stations and courts across England. 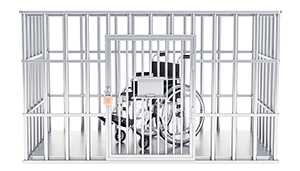 However, far more could be done to ensure the justice system meets its duties under equality law, for instance through the increased use of accessible information, intermediaries and other reasonable adjustments. The company’s key objective is to protect police, prison and security officers, and to reduce the number of knife and workplace violence related injuries. 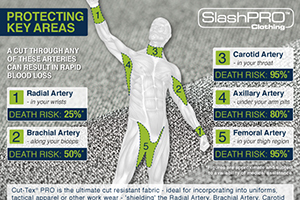 UK based PPSS Group has recently seen record sales for their SlashPRO® Slash Resistant Clothing brand, offering tested, certified and reliable levels of cut resistance. Poverty and social exclusion, religious and political extremism, drugs, social media as well as serious mental illnesses have all been blamed for the global rise of knife crime. 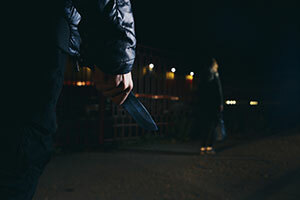 The news of individuals grabbing a kitchen knife and causing serious harm and injury to others has become a rather normal daily occurrence today. Knives have recently also become the weapon of choice for many so called “lone-wolf” attackers due to the low planning required to conduct a knife attack whether against an individual or mass group. Recycling Lives, a social business which enables prisoners to gain skills and qualifications to help them reduce their risk of reoffending on release, has been awarded the 2019 Robin Corbett Award for Prisoner Re-integration. 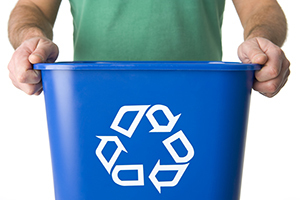 Recycling Lives works in 11 UK prisons and was nominated for the award for its work at HMP Wymott in Lancashire. The organisation engages up to 250 men and women at a time in its HMP Academies programme, which employs offenders in either recycling or fabrication work. 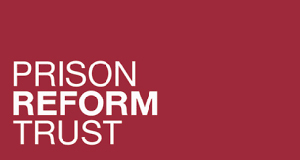 It supports each man and woman to address offending behaviours, develop skills and secure work and housing for release. Fewer than 5% of participants reoffend and more than 70% find employment on release. All five prisons operated by Sodexo have achieved the British Safety Council’s (BSC) integrated Five-Star Safety, Health and Environmental (SHE) Audit. Sodexo has been working with the BSC for many years and in 2016 began its integrated Five Star SHE audit programme. 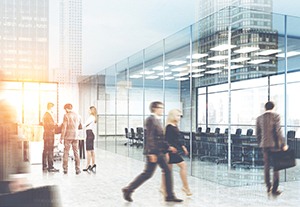 The programme includes five best practice indicators that are continually assessed throughout the audit process going beyond the requirements of established standards by assessing safety, health and environmental management systems against current best practice techniques and current trends. The audit goes over and above the requirements of current health and safety management systems such as OHSAS 18001 and demonstrates Sodexo’s commitment to achieving excellence in health and safety standards.